The aim of this study was to evaluate the effects of ovarian tissue vitrification and two-step in vitro culture on the metaphase II (MII) oocyte reactive oxygen species (ROS) level, mitochondrial transcription factor A (TFAM) expression and succinate dehydrogenase (SDH) activity. After collection of neonatal mouse ovaries, 45 ovaries were vitrified and the others (n = 45) were considered as control. All ovaries were cultured for seven days, and their isolated preantral follicles were cultured in three-dimensional culture system. After 12 days in vitro culture, the follicular development and oocyte maturation were evaluated and compared in vitrified and non-vitrified ovaries. The collected MII oocytes were inseminated with capacitated spermatozoa. The fertilization, embryonic development, ROS level, TFAM gene expression and SDH activity of oocytes were assessed and compared. There was no significant difference between morphology and percentage of normal follicles between vitrified and non-vitrified ovaries at the beginning of culture. The follicular development and hormone level in the vitrified group was significantly lower than non-vitrified group and the ROS concentration in the vitrified group was significantly higher than non-vitrified group after one-week organ culture. After follicular culture, there was no significant difference in follicular development, oocyte maturation, fertilization rate, TFAM gene expression, ROS level and mitochondrial SDH activity between vitrified and non-vitrified groups. This study showed that mouse ovarian tissue vitrification influenced the follicular development through increase in ROS level during organ culture but these harmful effects of vitrification method may be recovered during the follicular culture period. Thus, vitrification and ovarian organ culture method should be improved. Fathi R, Rezazadeh Valojerdi M, Ebrahimi B, et al. Fertility preservation in cancer patients: In vivo and in vitro options. Cell J 2017;19(2):173-183. Kagawa N, Silber S, Kuwayama M. Successful vitrification of bovine and human ovarian tissue. Reprod Biomed Online 2009; 18(4): 568-577. Tan X, Song E, Liu X, et al. Successful vitrification of mouse ovaries using less-concentrated cryoprotectants with Supercool X-1000 supplementation. In Vitro Cell Dev Biol Anim 2012; 48(2): 69-74. Filatov MA, Khramova YV, Kiseleva MV, et al. Female fertility preservation strategies: cryopreservation and ovarian tissue in vitro culture, current state of the art and future perspectives. Zygote 2016; 24(5): 635-653. Abdi S, Salehnia M, Hosseinkhani S. Quality of oocytes derived from vitrified ovarian follicles cultured in two- and three-dimensional culture system in the presence and absence of Kit ligand. Biopreserv Biobank 2016; 14(4): 279-288. Ackermann CL, Asa CS, Krisher R, et al. 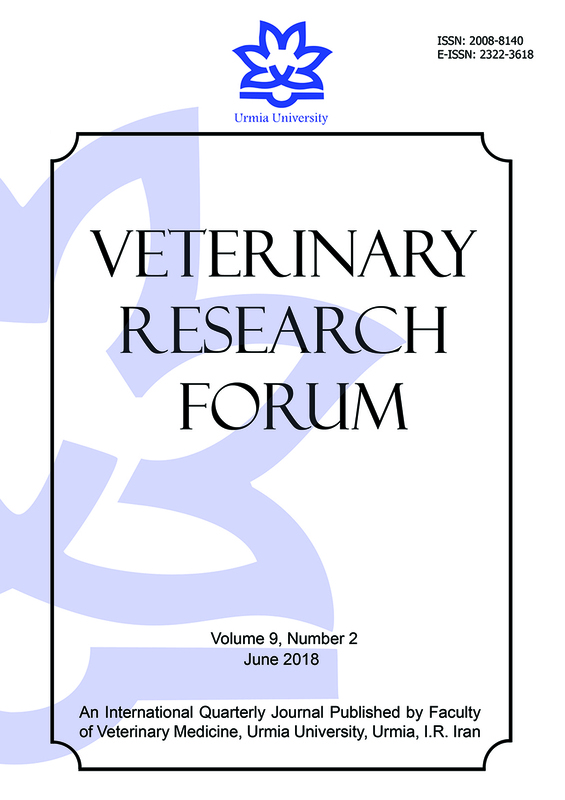 Evaluation of follicular growth and tissue viability in vitrified/warmed domestic dog ovaries after in vitro culture. Reprod Domest Anim 2017;52 (Suppl 2):77-81. Mouttham L, Fortune JE, Comizzoli P. Damage to fetal bovine ovarian tissue caused by cryoprotectant exposure and vitrification is mitigated during tissue culture. J Assist Reprod Genet 2015; 32(8): 1239-1250. Kim EJ, Lee HJ, Lee J, et al. The beneficial effects of polyethylene glycol-superoxide dismutase on ovarian tissue culture and transplantation. J Assist Reprod Genet 2015; 32(10): 1561-1569. Guérin P, El Mouatassim S, Ménézo Y. Oxidative stress and protection against reactive oxygen species in the pre-implantation embryo and its surroundings. Hum Reprod Update 2001; 7(2): 175-189. Lunardi FO, de Aguiar FL, Apolloni LB, et al. Sheep isolated secondary follicles are able to produce meta-phase II 0ocytes after vitrification and long-term in vitro growth. Biopreserv Biobank 2017;15(4):321-331. Soares MAA, Costa JJ, Vasconcelos GL, et al. Effects of frutalin on early follicle morphology, ultrastructure and gene expression in cultured goat ovarian cortical tissue. Histol Histopathol 2018;33(1):41-53. Tanpradit N, Chatdarong K, Comizzoli P. Carbonyl cyanide 4-(trifluoromethoxy) phenylhydrazone (FCCP) pre-exposure ensures follicle integrity during in vitro culture of ovarian tissue but not during cryopreservation in the domestic cat model. J Assist Reprod Genet 2016; 33(12): 1621-1631. Abdi S, Salehnia M, Hosseinkhani S. Kit ligand decreases the incidence of apoptosis in cultured vitrified whole mouse ovaries. Reprod Biomed Online 2015; 30(5): 493-503. Amoushahi M, Salehnia M, Mowla SJ, et al. Morpho-logical and molecular aspects of in vitro cultured of antral follicles derived from vitrified ovaries after two steps culture. Cell J 2017;19(3):332-342. Sadr SZ, Ebrahimi B, Shahhoseini M, et al. Mouse preantral follicle development in two-dimensional and three-dimensional culture systems after ovarian tissue vitrification. Eur J Obstet Gynecol Reprod Biol 2015;194:206-211. Castro SV, Carvalho AA, Silva CM, et al. Frozen and fresh ovarian tissue require different culture media to promote in vitro development of bovine preantral follicles. Biopreserv Biobank 2014; 12(5): 317-324. Hatami S, Zavareh S, Salehnia M, et al. Comparison of oxidative status of mouse pre-antral follicles derived from vitrified whole ovarian tissue and vitrified pre-antral follicles in the presence of alpha lipoic acid. J Obstet Gynaecol Res 2014; 40(6): 1680-1688. Rizzo A, Roscino MT, Binetti F, et al. Roles of reactive oxygen species in female reproduction. Reprod Domest Anim 2012; 47(2): 344-352. Pasqualotto EB, Agarwal A, Sharma RK, et al. Effect of oxidative stress in follicular fluid on the outcome of assisted reproductive procedures. Fertil Steril 2004; 81(4): 973-976. Abedelahi A, Salehnia M, Allameh AA, et al. Sodium selenite improves the in vitro follicular development by reducing the reactive oxygen species level and increasing the total antioxidant capacity and glutathione peroxide activity. Hum Reprod 2010; 25(4): 977-985. Agarwal A, Said TM, Bedaiwy MA, et al. Oxidative stress in an assisted reproductive techniques setting. Fertil Steril 2006; 86(3): 503-512. Agarwal A, Gupta S, Sharma R. Oxidative stress and its implications in female infertility - a clinician's perspective. Reprod Biomed Online 2005; 11(5): 641-650. Combelles CM, Gupta S, Agarwal A. Could oxidative stress influence the in-vitro maturation of oocytes? Reprod Biomed Online 2009; 18(6): 864-880. Salennia M, Töhönen V, Zvareh S, et al. Does cryopreservation of ovarian tissue affect the distribution and function of germinal vesicle oocytes mitochondria? Biomed Res Int 2013; 2013: 489032. Lei T, Guo N, Liu JQ, et al. Vitrification of in vitro matured oocytes: effects on meiotic spindle configuration and mitochondrial function. Int J Clin Exp Pathol 2014; 7(3): 1159-1165. Bezawork-Geleta A, Rohlena J, Dong L, et al. Mitochondrial Complex II: At the Crossroads. Trends Biochem Sci 2017; 42(4): 312-325. Heiske M, Nazaret C, Mazat JP. Modeling the respiratory chain complexes with biothermokinetic equations - the case of complex I. Biochim Biophys Acta 2014; 1837(10): 1707-1716. Facucho-Oliveira JM, St John JC. The relationship between pluripotency and mitochondrial DNA proliferation during early embryo development and embryonic stem cell differentiation. Stem Cell Reviews 2009; 5(2): 140-158. Lyonnais S, Tarrés-Soler A, Rubio-Cosials A, et al. The human mitochondrial transcription factor A is a versatile G-quadruplex binding protein. Sci Rep 2017; 7: 43992. Ngo HB, Lovely GA, Phillips R, et al. Distinct structural features of TFAM derives mitochondrial DNA packaging versus transcriptional activation. Nat Commun 2014; 5: 3077. Yoon J, Juhn KM, Yoon SH, et al. Effects of sperm insemination on the final meiotic maturation of mouse oocytes arrested at metaphase I after in vitro maturation. Clin Exp Reprod Med 2017; 44(1): 15-21. Mayer A, Baran V, Sakakibara Y, et al. DNA damage response during mouse oocyte maturation. Cell Cycle 2016; 15(4): 546-558. Salehnia M, Abbasian Moghadam E, Rezazadeh Velojerdi M. Ultrastructure of follicles after vitrification of mouse ovarian tissue. Fertil Steril 2002; 78(3): 644-645. Vivarelli E, Siracusa G, Mangia F. A histochemical study of succinate dehydrogenase in mouse oocytes and early embryos. J Reprod Fertil 1976; 47(1): 149-150. Rahimi G, Isachenko E, Sauer H, et al. Effect of different vitrification protocols for human ovarian tissue on reactive oxygen species and apoptosis. Reprod Fertil Dev 2003; 15(6): 343-349. Farzollahi M, Tayefi-Nasrabadi H, Mohammadnejad D, et al. Supplementation of culture media with vitamin E improves mouse antral follicle maturation and embryo development from vitrified ovarian tissue. J Obstet Gynaecol Res 2016; 42(5): 526-535. Aguiar FL, Lunardi FO, Lima LF, et al. Insulin improves in vitro survival of equine preantral follicles enclosed in ovarian tissue and reduces reactive oxygen species production after culture. Theriogenology 2016; 85(6): 1063-1069. Jamnongjit M, Hammes SR. Ovarian steroids: the good, the bad, and the signals that raise them. Cell Cycle 2006; 5(11): 1178-1183. Demant M, Trapphoff T, Fröhlich T, et al. Vitrification at the pre-antral stage transiently alters inner mitochondrial membrane potential but proteome of in vitro grown and matured mouse oocytes appears unaffected. Hum Reprod 2012; 27(4): 1096-1111. Santos TA, El Shourbagy S, St John JC. Mitochondrial content reflects oocyte variability and fertilization outcome. Fertil Steril 2006; 85(3): 584-591. Reynier P, May-Panloup P, Chretien MF, et al. Mitochondrial DNA content affects the fertilizability of human oocytes. Mol Hum Reprod 2001; 7(5): 425-429. Sumitani M, Kondo M, Kasashima K, et al. Characterization of Bombyx mori mitochondrial transcription factor A, a conserved regulator of mitochondrial DNA. Gene 2017; 608: 103-113. Lenka N, Vijayasarathy C, Mullick J, et al. Structural organization and transcription regulation of nuclear genes encoding the mammalian cytochrome c oxidase complex. Prog Nucleic Acid Res Mol Biol 1998; 61: 309-344. Scarpulla RC. Transcriptional activators and coactivators in the nuclear control of mitochondrial function in mammalian cell. Gene 2002; 286(1): 81-89. Clayton DA. Nuclear-mitochondrial intergenomic communication. Biofactors 1998; 7(3): 203-205. Ekstrand MI, Falkenberg M, Rantanen A, et al. Mitochondrial transcription factor A regulates mtDNA copy number in mammals. Hum Mol Genet 2004; 13(9): 935-944. Kanki T, Ohgaki K, Gaspari M, et al. Architectural role of mitochondrial transcription factor A in maintenance of human mitochondrial DNA. Mol Cell Biol 2004; 24(22): 9823-9834. Laurenti G, Tennant DA. Isocitrate dehydrogenase (IDH), succinate dehydrogenase (SDH), fumarate hydratase (FH): Three players for one phenotype in cancer? Biochem Soc Trans 2016; 44(4): 1111-1116.